Herbert Zirath (M' 86-SM'08-F'11) was born in Göteborg, Sweden, on March 20, 1955. He received the M. Sc and Ph. D. degree in electrical engineering from Chalmers University, Göteborg, Sweden, in 1980 and 1986, respectively. From 1986 to 1996 he was a researcher at the Radio and Space Science at Chalmers University, engaged in developing a GaAs and InP based HEMT technology, including devices, models and circuits. In the spring-summer 1998 he was research fellow at Caltech, Pasadena, USA, engaged in the design of MMIC frequency multipliers and Class E Power amplifiers. 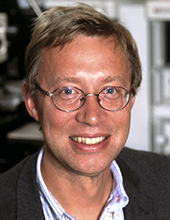 He is since 1996 Professor in High Speed Electronics at the Department of Microtechnology and Nanoscience, MC2, at Chalmers University. He became the head of the Microwave Electronics Laboratory 2001. At present he is leading a group of approximately 40 researchers in the area of high frequency semiconductor devices and circuits. His main research interests include MMIC designs for wireless communication and sensor applications based on III-V, III-N, Graphene, and silicon devices. He is author/co-author of more than 600 refereed journal/conference papers, h-index of 39, and holds 5 patents. He is research fellow at Ericsson AB, leading the development of a D-band (110-170 GHz) chipset for high data rate wireless communication. He is a co-founder of Gotmic AB, a company developing highly integrated frontend MMIC chip-sets for 60 GHz and E-band wireless communication. High frequency graphene transistors: Can a beauty become a cash cow? 10th FPGAworld Conference - Academic Proceedings 2013, FPGAworld 2013. Stockholm, Sweden; 10-12 September 2013. European Microwave Conference, Manchester, Workshop "RF PA Efficiency Enhancement Techniques"
Development of 60-GHz Front -End Circuits for a High-Data-Rate Communication System. Det kan finnas fler projekt där Herbert Zirath medverkar, men du måste vara inloggad som anställd på Chalmers för att kunna se dem.